Wish he was in Brooklyn with us . . . rather than in a convention center in Orlando. 😦 Sent him this to make him smile and know Chet and I are thinking of him. « This blog post has gone to the dogs! There is no possible way I can write a post and take Chester off the blog! 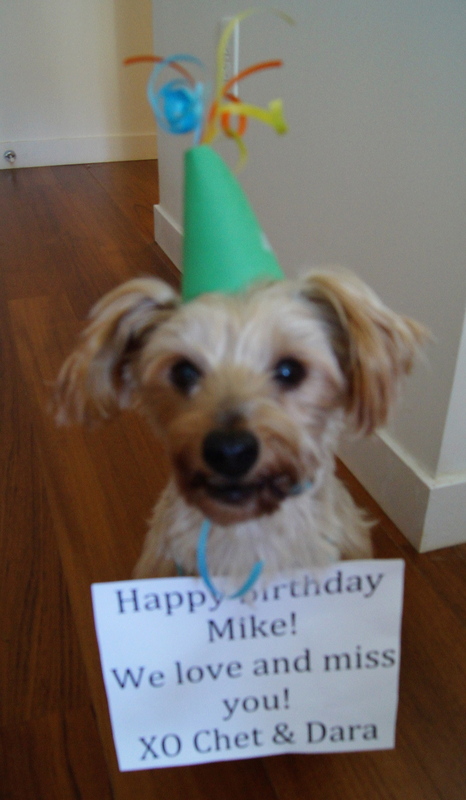 Happy Birthday Mike!!!! !